Our office, as well as the American Academy of Pediatric Dentistry, recommends that your child visits the dentist by his/her 1st birthday. As a parent, you can make the first visit to the dentist enjoyable and positive. Your child should be informed of the visit and told that the dentist and their team will explain all procedures and answer any questions. When discussing the dental visit, it is best if you refrain from using words that might cause unnecessary fear, such as “needle”, “shot”, “pull”, “drill” or “hurt”. Our office makes a practice of using words that convey the same message, but are pleasant and non-frightening to the child. For the first visit, we invite you to stay with your child during the initial examination. For future appointments, we recommend that you allow our dental team member to accompany your child through the dental experience. In this way, we will be able to establish a closer rapport with your child. Our purpose is to gain your child’s confidence and trust, and to overcome their apprehension. However, if you choose to, you may always come with your child into the treatment room. For the safety and privacy of all patients, other children who are not being treated should remain in the reception room with a supervising adult. At Smyrna Pediatric Dentistry, we get excited about each new child that visits us. Once you have reserved your child’s appointment, we ask you to please keep in mind that Dr. Sara has set aside that appointment time especially for your child​​. We appreciate that most of our parents let us know a​t least 48 hours in advance if they need to reschedule. 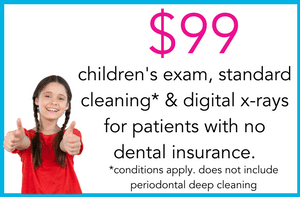 This allows us sufficient time to release your appointment to another child who may be in dental distress and needs to see the doctor. We thank you in advance for your understanding and cooperation. Click here to complete our New Patient Forms online.